The Singing Wells project travelled to Kisoro in southern Uganda in late November 2011. 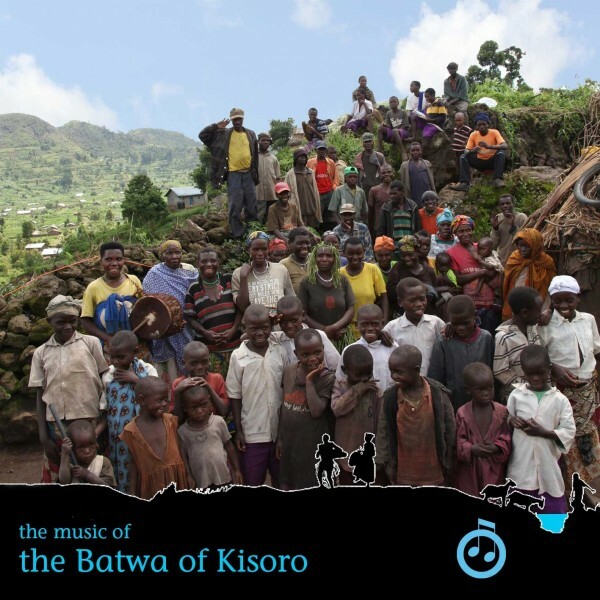 There we met and recorded the music of the Batwa communities. We were so taken by the music we heard, we then invited some of the musicians back to Nairobi to record more of their music at the Ketebul Studios. The album begins in the village of the Birara Community – with the village leader Francis taking the main role on the performance. The Mperwa dancers are included, whose leader Jovah stunned us with her voice during the recordings in their village – featured on the album cover. Our trip to the UN refugee camp at Nyakabande was a happy one, as it was empty. The Togetherness group gave us a spirited performance and one of the tracks is on the album. The remainder of the field recordings were made at the Travellers Rest Hotel in Kisoro – battling through torrential rain, a storm of locusts and power cuts to be able to record. The Kabahenda, Gatera and Micyingo communities performing for us under the veranda of the hotel. Also included is an influences session where Winyo collaborated with the Mperwa Dancers; a collaboration between Jesse Bukindu and Francis from the Birara Dancers, recorded at the Travellers rest, and three tracks recorded in the Ketebul studios in Nairobi. Tiny Moses, from the Micyngo Community joined us in Nairobi to record his songs. Jovah from Mperwa also joined us for a recording. The album is rounded off by a version of a song that almost all of the groups performed – ‘Imperake’ performed by a group of the Batwa women – in the Ketebul Studio in Nairobi. Recording Location – Travellers Rest Hotel, Kisoro, 30th November 2011. Recording Location – Travellers Rest Hotel, Kisoro, 24th November 2011.